Customer Relationship Management (CRM) is an aspect and an approach to managing company’s interaction with existing and potential customers throughout the customer lifecycle. Its goal is to improve customer service relationships, promote customer retention & customer satisfaction, increase efficiency, and enhance sales growth. At most basic level, CRM makes it easy to organize, track, and grow sales pipeline while consolidating customer information and documenting everything into a single CRM database. 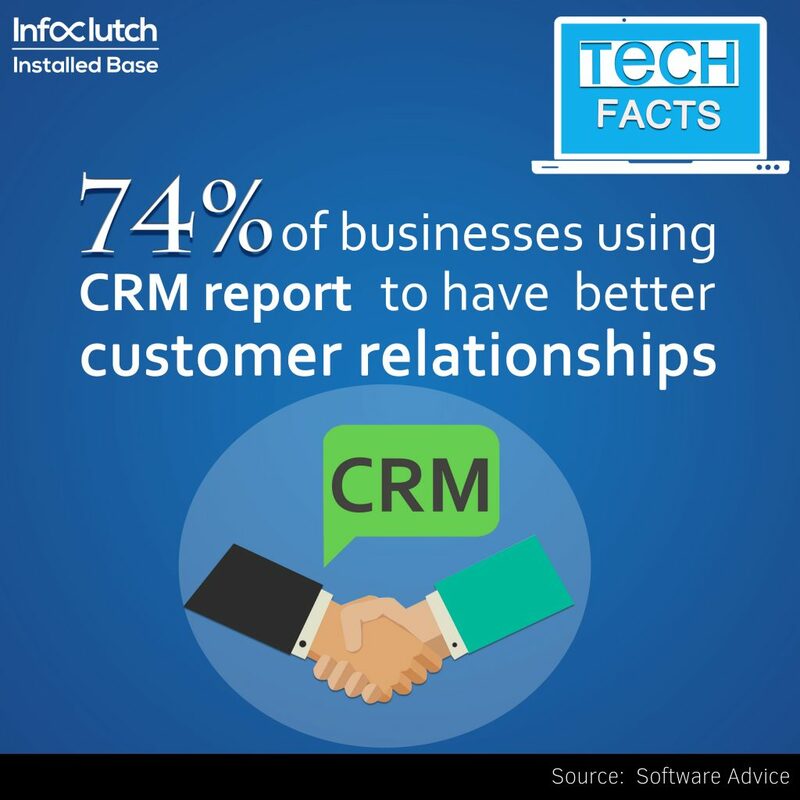 Get access to InfoCluch’s Installed base which offers instant data of CRM companies list that use CRM software. Both B2B and B2C companies often use CRM software in their business to track and manage business communication via email, telephone, webmail, chat, social media, digital marketing, and other marketing materials. It as well offers advanced analytics for a salesperson or a staff when dealing with the customer. Some of the tools like Marketing automation, Workflow Automation, Analytics, AI in CRM, Lead management and other tools when integrated makes the CRM Software much more effective. CRM software is most widely used in the sales department and other departments like marketing and customer service. Some of the major industries that employ CRM are into business services, banking, technology, insurance, finance, and manufacturing. Our CRM companies list is graphically represented with pie charts, line graphs and other graphs that makes it easier for you to understand and visualize data better.